Physical Therapy Continuing Education - your one stop resource to learning at home or changing your career! listen. watch. read. however you want it. Physical therapy continuing education keeps you in the forefront of your career. Life has a way of filling every moment - squeezing the cutting edge out of your schedule. Some states require CEU's for license renewal... don't get caught in a time crunch! Learn at home, on a schedule that works for you and your family. Save time and money by getting approved credit for your continuing education at home, on your time! Find continuing education that will fit into your schedule - on your time in the comfort of your home. 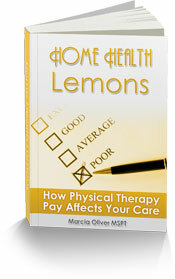 Some physical therapy topics are listed below - learn the way you want, when you want, where you want. All your Physical Therapy Continuing Education needs at one stop!